When Reddin Ahmad was four years old he began a remarkable journey with his father. In the face of anti-Kurdish persecution in northern Iraq, Reddin was spirited away from the family home in Sulaimaniya, travelling overland through Asia and Europe until he reached the port of Dover, and asylum in the UK. As would later be diagnosed by British doctors, Reddin had Goldenhaar syndrome, Klippel-feil syndrome, and growth hormone deficiency, which left him with a number of conditions including curvature of the spine and facial abnormalities. Through the NHS he had a number of surgical procedures, including the attaching of a prosthetic ear and the closing of an ear canal. And later, as a teenager living in Huddersfield (thankfully reunited with the rest of his family after a four-year wait), he had growth hormone treatment. Whether it was learning English within a year of arriving in the UK and acting as his father’s translator, or thriving at mathematics because he treated it as 'puzzle', Reddin excelled at school and clearly had the talent to progress into higher education. And this he did, enrolling at the University’s Peninsula Medical School having taken a gap year to save up some money. 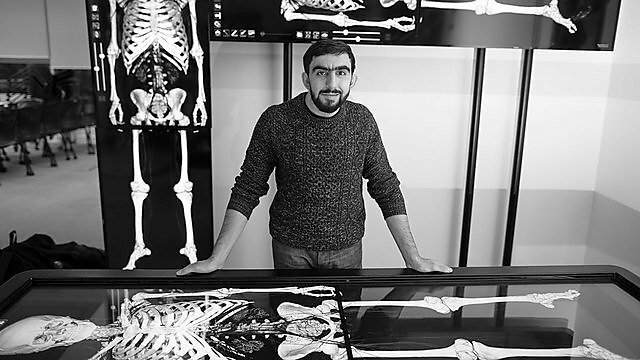 Reddin received a £2,000 scholarship in his first year, which made a useful contribution to his living costs, and in 2018, he was successful in applying for the Urgent and Emergency Care intercalation course, which enables students to spend an extra year developing their skills in a hospital. And he was able to finance this extra year of study thanks to a Roland Levinsky Intercalating Bursary of £10,000, which has covered his travel costs from the family home to Pinderfields Hospital in Wakefield, as well as his monthly return trips to Plymouth for tutorials. And Reddin’s academic success is only half of the story. 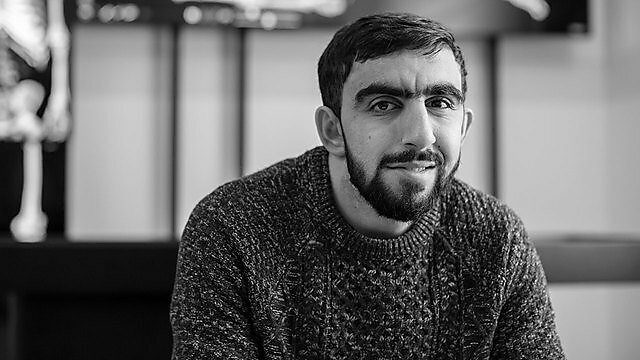 In the second year of his degree, he played a ground-breaking role in establishing links between the Students’ Union’s Islamic Society and Charity Week, a fundraising project that inspires people to become more socially engaged. With no prior experience, Reddin helped to organise events that raised £2,000 in the first year, and £7,000 in the second – a legacy that has been built on by his successors over the past two academic years. And he also took the chance to volunteer overseas, teaching English to Palestinians, where he met people with limited access to both social and health services. It was an experience that reinforced his motivation to become an emergency medicine specialist doctor after he graduates. Every year, the University distributes a range of bursaries and scholarships that can make the difference between a person enrolling at a university and pursuing a dream, or not. Two decades on from that epic journey to the UK, Reddin shows no sign of slowing down. In fact, with a medical degree as his passport, it is just beginning.